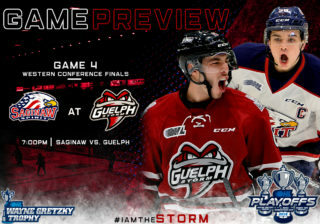 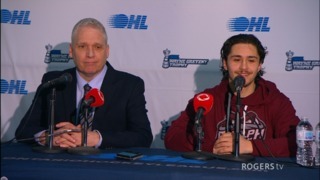 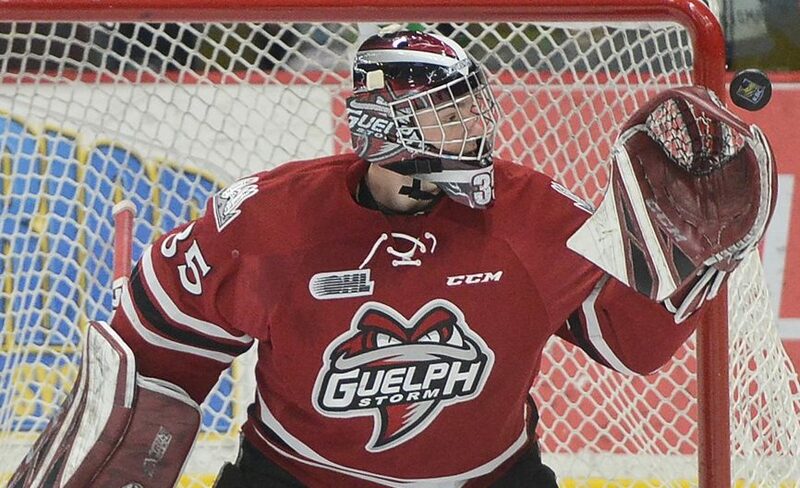 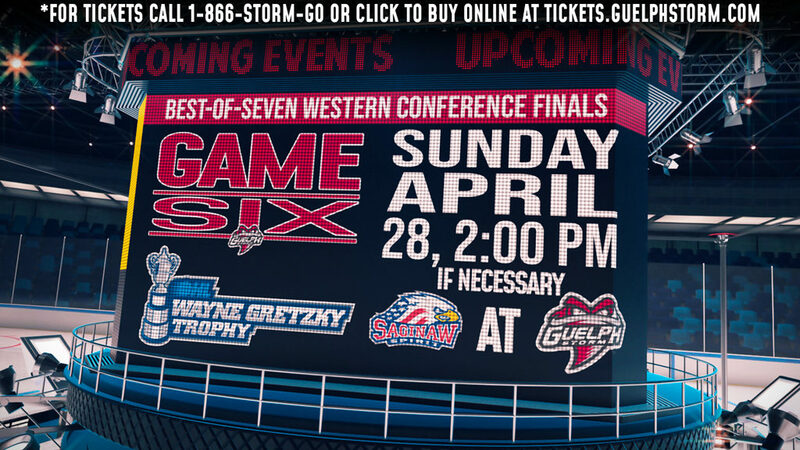 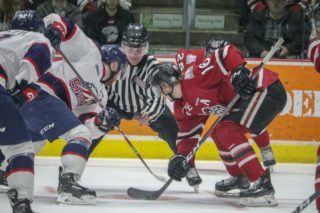 Once the clock ticked past 3:30 in the third period, Nico Daws could stop stressing in the Guelph Storm net. 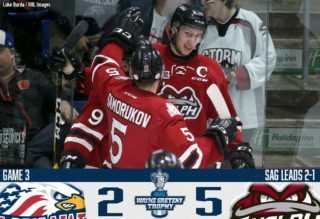 A week ago in Kingston the Kingston Frontenacs scored with 3:31 left in the game to spoil Daws’ bid for his first career OHL shutout. 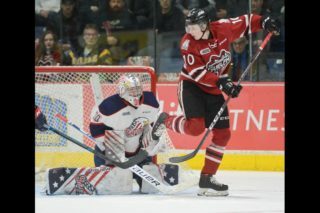 Sunday on home ice he sealed the deal, stopping all 27 shots he faced for his first career shutout as the Storm downed the Kingston Frontenacs 9-0.